Things are starting to get mighty busy for Samsung as 2014 really gets underway. The Galaxy S5 and Gear 2 family have finally launched all over the world and as their marketing machine ramps up to full power promoting their latest and greatest, we’re sure that back in Korea, designers and engineers have their heads down working on the next Galaxy Note. What was once laughed at being one of the largest and “impossible” to use devices has now become a real money spinner for Samsung and the Galaxy Note line is almost as popular as the Galaxy S line now. So, with the Galaxy Note 4 expected this Fall as always, what does Samsung have in store for fans of big smartphones? Well, according to Yoon Han-Kil, an executive at Samsung, we should be expecting a “new form factor. Speaking with Reuters he explained that he expects the Galaxy S5 to outsell last year’s Galaxy S4 and that the company is getting ready to finally launch its first Tizen-based smartphone later this year as well. Of course, what we’re most interested in is just what this “new form factor” could be. Unfortunately, Yoon Han-Kil didn’t go into any more detail than that, so we’re left to simply guess at what Samsung has in the works for the next Galaxy Note. Something involving flexible OLED could be on the cards, but we question how much effect that’d have on the S-Pen that makes the Galaxy Note, a “Note”. Besides, flexible OLED isn’t ready to create new form factors altogether just yet, so Samsung could be looking to leverage a flip case or something like that into the hardware design. We’re not really sure what Samsung could do to create a “new form factor”, unless they’re simply talking about either a much bigger Galaxy Note or a bigger variant to go along with a “regular” sized Note. What do you guys think though? Let us know in the comments below and over on Google+! 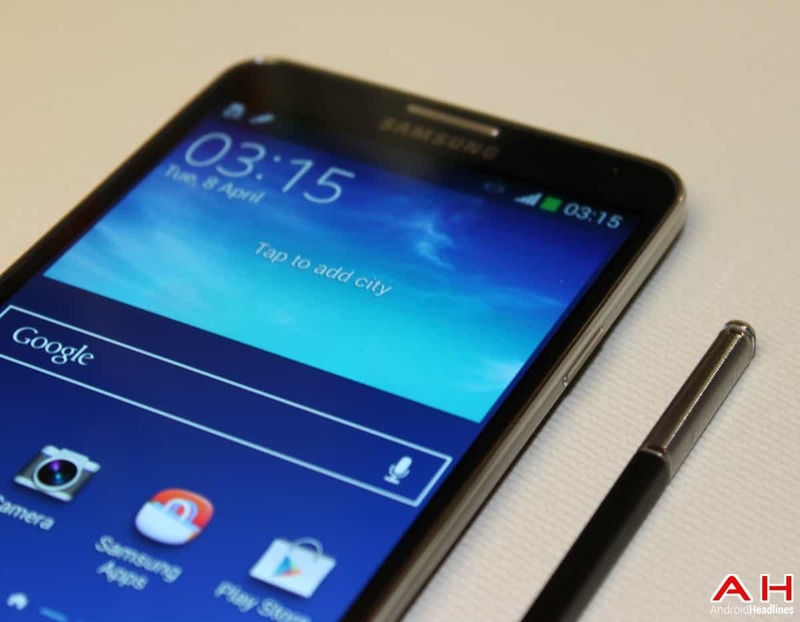 The post “New Form Factor” in The Works for Samsung’s Galaxy Note 4 appeared first on AndroidHeadlines.com |.